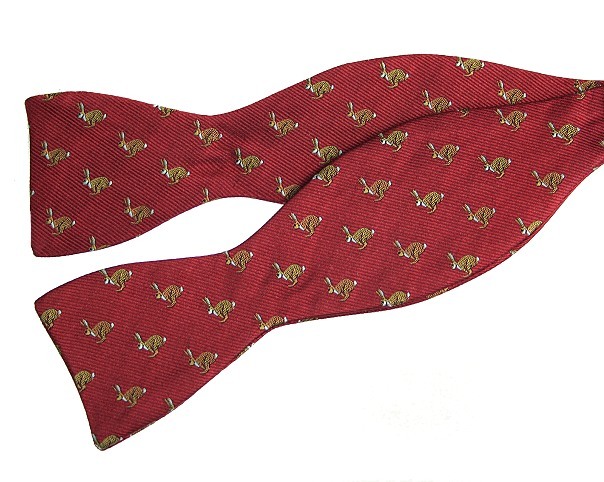 A red, hare motif bow tie in a self tie style. Made in the UK from pure English silk. An embroidered self tie hares bow tie in a repeat pattern on a navy blue background. A light blue silk hare bow tie with embroidered motif. Made in the UK from pure English silk.